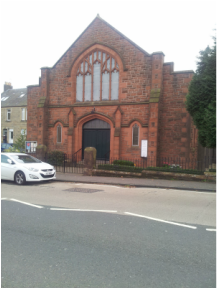 The Church is situated on the Main Street in Uphall, there is disabled parking and at the rear of the church via Alexander Street. There is also ramp access at the side door. Uphall is 5 minutes from junction 3 on the M8. The closest rail station is Uphall Station, about 10 minutes away by taxi.